Get a new perspective on this week’s holiday. 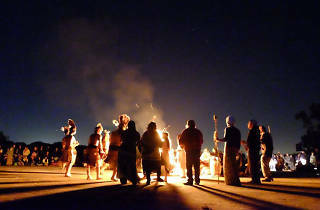 Indigenous people from throughout the region assemble on Alcatraz at sunrise every Thanksgiving to commemorate the 1969-71 occupation of the island by the “Indians of All Tribes.” Not so much a spectator event (and sometimes referred to as Un-Thanksgiving Day), this solemn community gathering is open to the public. 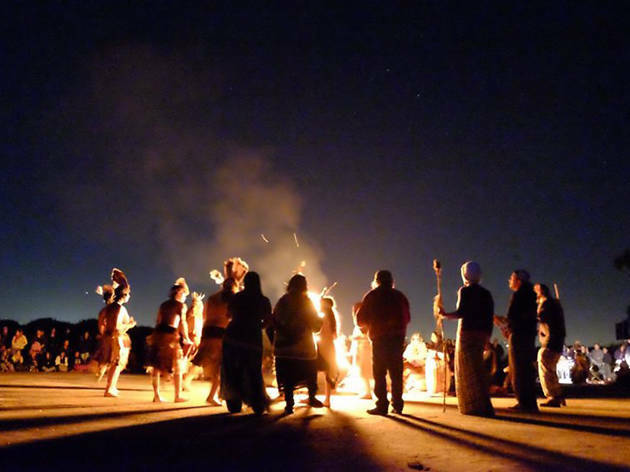 Performances by Pomo/Ohlone Inter-tribal and Aztec Dancers, All Nations Drum, and finally the Yaqui Four Directions Blessing and Tobacco Offering aim to celebrate and preserve the survival of Native American people.